The water Canna is vibrant with its large green silk leaves. The artificial floor plant is full of sprouts which stand elongated for a magnificent display. 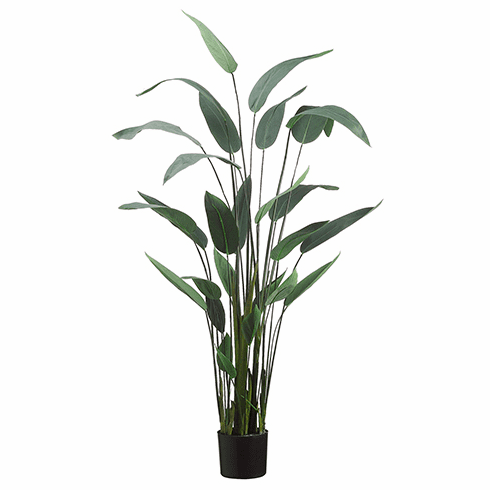 Each Artificial plant is potted and ready to go right out of the box and will add depth to your room-scape. Size: 64" Over 5 feet tall measure from bottom of container to tallest point.